Fairpants Es gibt 3 Produkte. 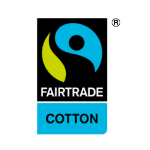 FAIRPANTS Is the first and only Polish, and one of a few European companies which undertook to manufacture underwear, made with certified Fairtrade Organic Cotton. Fairpants purpose is to create well known brand in the garments production market, because we are the pioneers in the new kind of business style - ethically appropriate and environmentally sustainable. We also intend to build an access to the new markets and help find opportunities for the people from developing countries. We can do it by using cotton from them in our manufacture and through Fairtrade Bonuses. Underwear made with organic cotton and durable materials with using traditional craft skills and techniques. Our products remain a handicraft, that is why every single pair is unique and special.